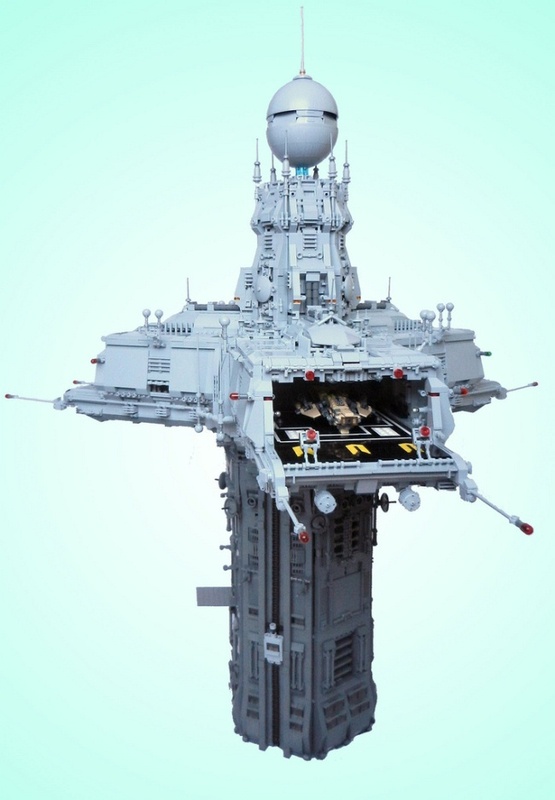 This structure sure looks like a real space port, until we asked ourselves, do space ports really look like that, and aren’t those Lego pieces? Tim Goddard, more known on Flickr as Rogue Bantha, created the Triport Spire, a space port complete with elevators, lights, and possibly any part we can imagine for a space-based infrastructure, only that this is sci-fi inspired. Details as to how Goddard came up with the idea, how long did it take him to finish such masterpiece, and how many pieces did it take are unknown, but we can’t help but gawk at how detailed and realistic the Triport Spire is. See more of his totally awesome Lego creations on his Flickr photostream.